Home / Games / Episode – Choose Your Story: Explore. Play. Create. If you want to challenge yourself in a whole new world through stories, or simply want to create interesting stories, play Episode – Choose Your Story, a popular game released by Episode Interactive. This game has the same gameplay as The Sims Mobile, allowing you to experience a new life in an imaginary world. In the game, you can create your own character according to your preferences or choose one of the available characters. In addition, you can directly interact with other characters in the story, develop their relationship, and then see the effects of it on the outcome of your story. Each of your choices will lead to different endings, so if the end of the current makes you unhappy or you are curious how the end be like if you handle the other way, you can rewrite the story. This is really interesting, in some stories, I played a lot of times with many different endings. Not to stop there, Episode – Choose Your Story has the incredible number of stories up to over 100,000 fascinating stories. The stories cover a wide range of genres such as romance, mystery, adventure, humor and more so you can choose the genre as you like. Mean girls: You will enter the world of girls, where the movie Mean Girls ends, you will be involved in the drama’s development and romance. When battling against Regina George, and of course you will have to be friends with Janis, Candy, and the nobility. You will meet a prince in the dream but you will always encounter troubles, sabotage from Regina George. Demi Lovato: You are the star on your show. After achieving certain success in Demi’s show with the opening position. This is where you express yourself and create a dream career. When Demi shared the way she created fate, you would have to make the choice to become an ambitious star. Pretty Little Liars: A beautiful girl but with a bad habit is a lie. But it was also her talent. All the stories and the cases are derived from a lie. Create a mysterious and attractive story as possible. The whole story in Episode – Choose Your Story is written in English. Since the main content of the game revolves around the story, some players may find it difficult to understand the content. This is an obstacle but also an opportunity for you to have more knowledge and ability to read English. In Episode – Choose Your Story there are some stories that are inappropriate for young children like horror, some content 18+, drugs … so the parents take into consideration and select the appropriate story children. One thing that you have to keep in mind is that in the game you need diamonds to unlock some stories as well as some other features. In general, if you love stories or have a dream of becoming a writer or director, Episode – Choose Your Story is a perfect choice for you. In this game, creativity is not limited by the publisher encouraging players to create the most exciting, suspenseful story. The game is available for both iOS and Android operating systems, you can download via the links below the article. 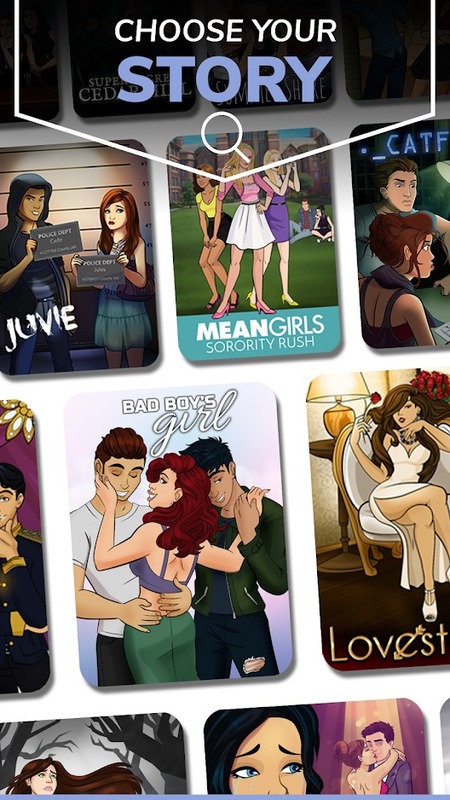 Episode – Choose Your Story APK is ready to download! 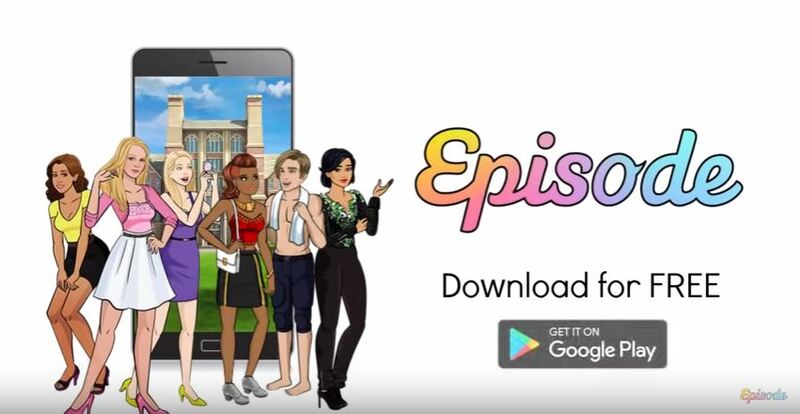 Depending on your needs, you can download Episode – Choose Your Story MOD APK or Episode – Choose Your Story Original APK. Or install from Google Play / App Store if you want.